The film clip in the last post aired recently but was filmed last year. I want to thank Tina from the Mercer chamber for the opportunity to help showcase some of the winter fishing on the TFF. The ice fishing this season has a lot of people scratching their heads like Catchinfish in his last post. We are catching fish and having some action each time out but in general it has been slow. Why? I don't know. 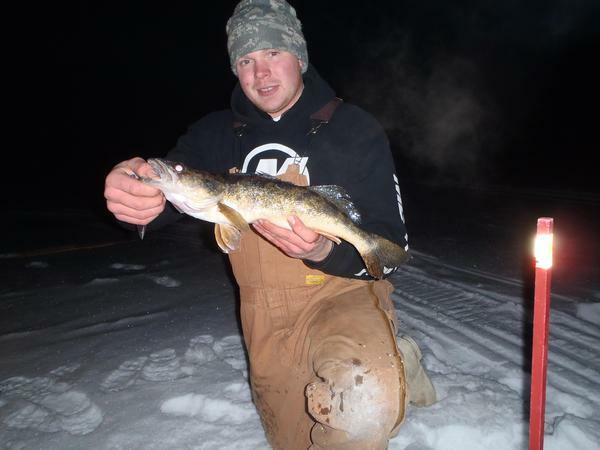 I can assure catchinfish and everyone else out there, it is not for a lack of walleyes in the TFF. This fall we had tremendous fishing. I don't always count fish and less frequently post numbers but to illustrate my point in one 4 day stretch in October we caught ( and obviously released most) 242 walleyes. 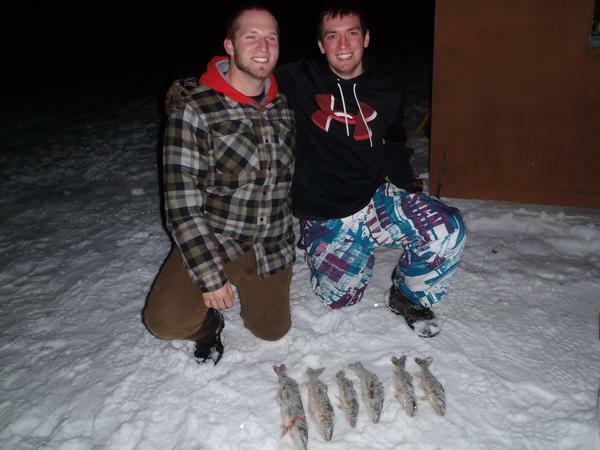 There were small fish but there were also a high percentage of fish I would be happy to be taking through the ice right now. I personally think we went into this ice season with more and a slightly bigger size structure then going into last winter. There is a lot of ice fishing left hopefully the bite will pick up. A few pics. 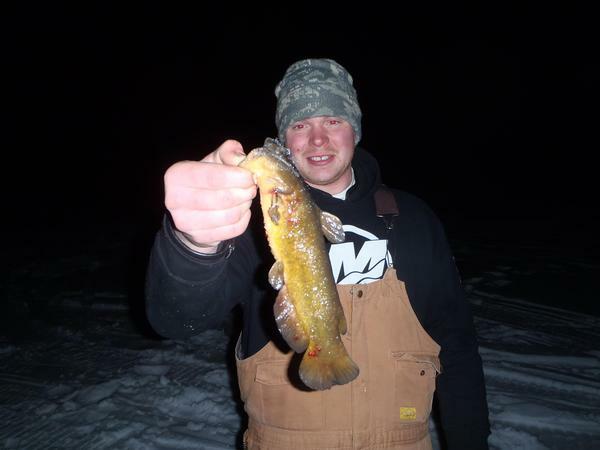 What a bullhead through the ice! come on Jack!